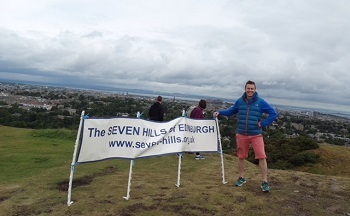 What is the Seven Hills of Edinburgh ? — a combination of road-running, cross-country, hill-running, and urban orienteering... 14.3 miles in length and with 2200 feet of ascent/descent. It attracts runners of all ages and all abilities — from the leading distance-runners who get round in 100 minutes, to the more modest performers who may take up to 4 hours. 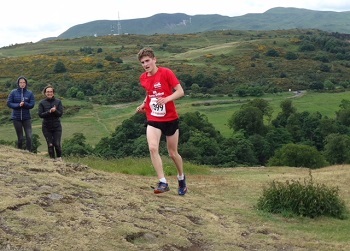 But they all enjoy the satisfaction of completing one of the most scenic and challenging of sporting courses. 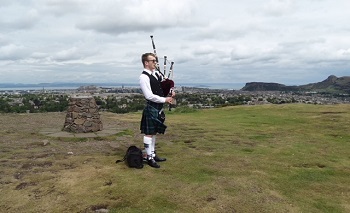 An event of great character, and with a tremendous friendly atmosphere on the day, it's THE event that everyone — Edinburgh-based or otherwise — should do at least once! The seriously-fit should enter "The Race". Those of more modest ability (above 1 hour 40 for a half-marathon, say) can enter "The Challenge" (starting half an hour in advance). The date of the 2019 event is Sunday 16th June. The Challenge and The Race are now full; sorry, no waiting-lists, no transfers to other persons, no on-the-day entries, no consolation pies. All practical information for runners can be accessed by clicking on the EntryCentral logo. To see the Sign-ups for the events, click on the logo and then use the 'List' button. 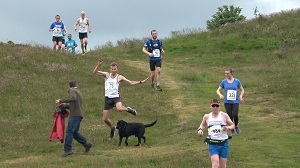 A record number of 486 runners completed the event. 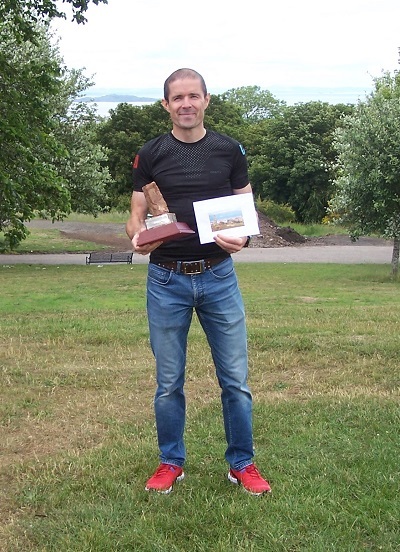 RACE: The event was won for the 3rd time by Dessie Flanagan (Carnethy), with Liam Braby (Carnethy) 2nd, and Johnny Lawson (Portobello) 3rd. The women's trophy was won by Nicola Duncan (Carnethy), with Eilidh Yates (Edinburgh Triathletes) 2nd, and Spanish visitor Olga Garcia Santamaria 3rd. 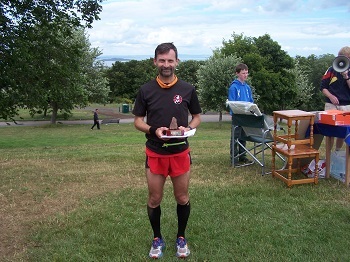 The M50 trophy was won by Robert Watson (Musselburgh), in 4th place in the Race. 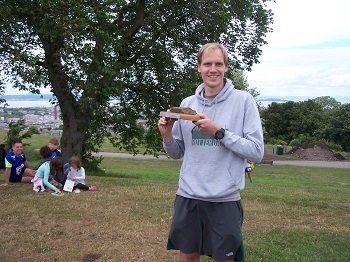 Willie Jarvie (Portobello) took the M60 prize. 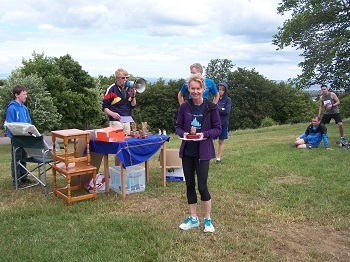 The F45 trophy was again won by Rhona Anderson (Dunbar), with Christine MacVarish (Lothian RC) 2nd. Fiona Carver (Corstorphine) took the F55 prize. Team event: 'Carnethy A' were the winning team, with 'Alice Band' (Porty) 2nd, and Shettleston 3rd. 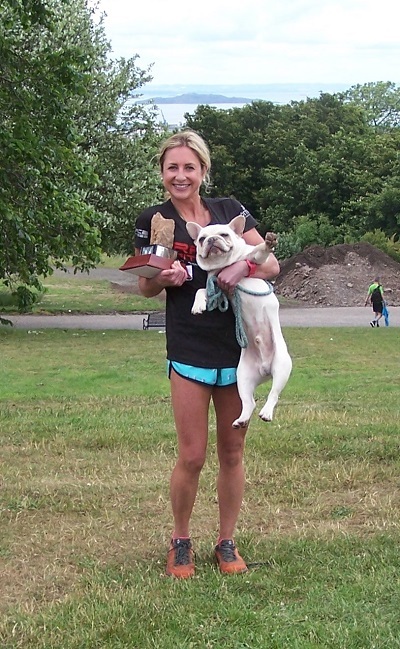 Best all-female team were 'Race Fitness Girls'. Full results can be seen on the Results page. 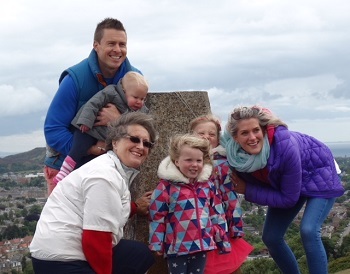 Doublers : The 2018 list of the super-heroes who did the Edinburgh Marathon and Seven Hills 'Double' can be seen here. Part of our annual financial surplus is now to be donated to SportsAid Scotland. VIDEO: A 16-minute video of this year's event, runner-cammed by Kate Crichton and produced by Jim Sheach, can be viewed here.